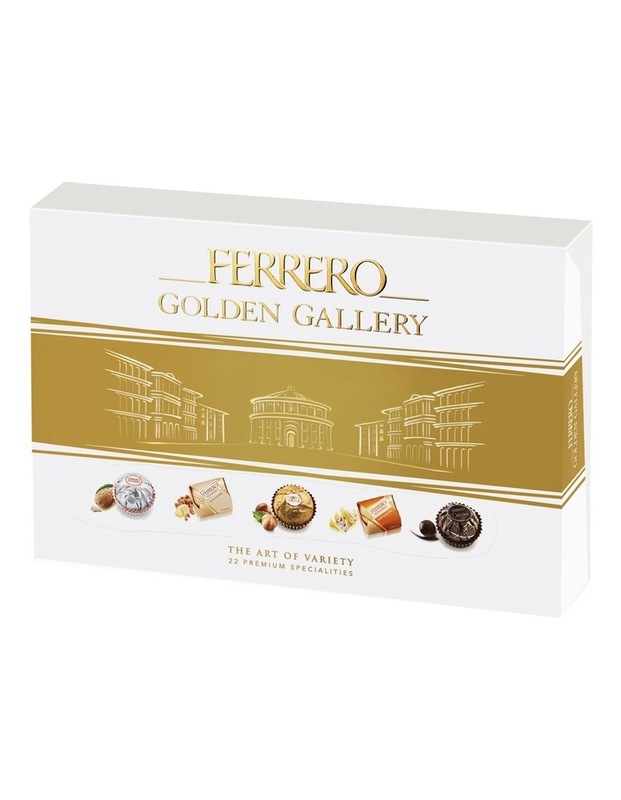 The Golden Gallery Box features an assortment of pralines developed with the highest quality ingredients by Ferrero chocolate experts. This assortment contains 22 chocolates in total. 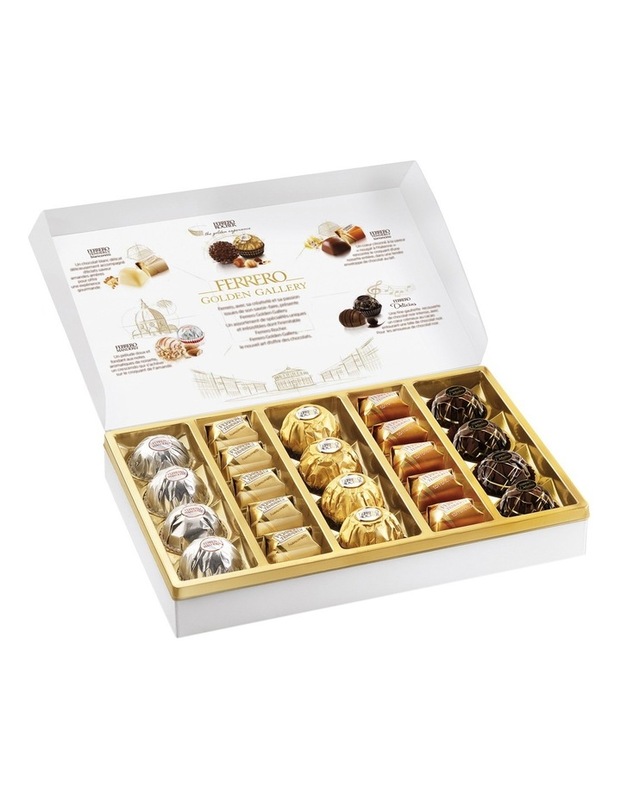 There are 4 pieces each of Ferrero Manderly, Rocher and Delicious, and 5 pieces each of Ferrero Tenderly Biancoretti and Torroncino. The Tenderly Biancoretti is a delicate white chocolate filled with a crispy amaretti centre. The Tenderly Torroncino is a milk chocolate with a whole hazelnut and has a final citrus note. The Delicious has an intense dark chocolate filling. The Ferrero Rocher is a crisp hazelnut and milk chocolate-covered specialty, with a smooth filling and whole hazelnut. Made in Germany and Italy. Allergy advice: contains milk, hazelnuts, almonds, gluten and soy. Contains traces of egg, and other tree nuts.